Woodland in autumn is a wonderful place to be. 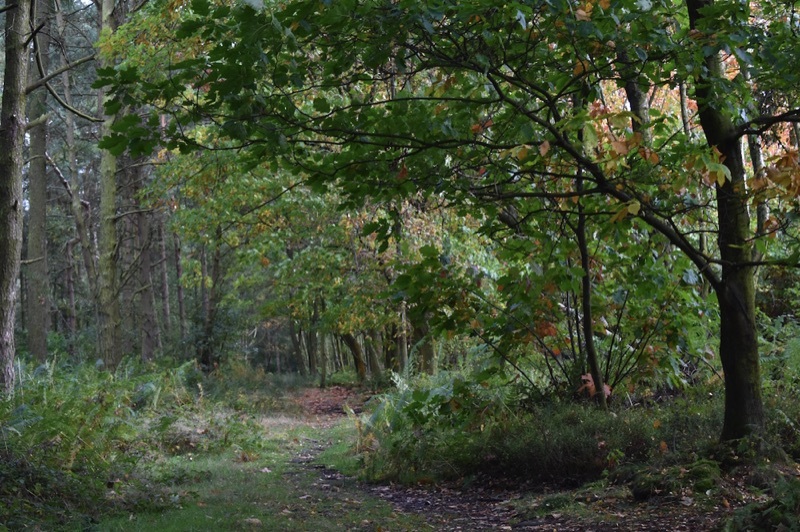 We explore some of the sights and sounds that can be experienced during a walk in the woods. 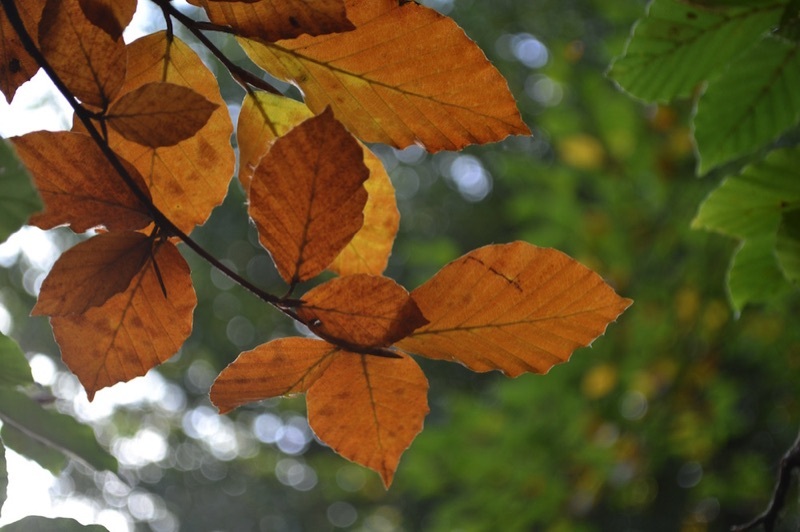 Autumn is now in full swing, and we're being treated to some spectacular shows of leaf colour this year, with red and gold hues adorning trees in woods and parks. Field maple, beech and silver birch trees all produce colourful autumn displays. 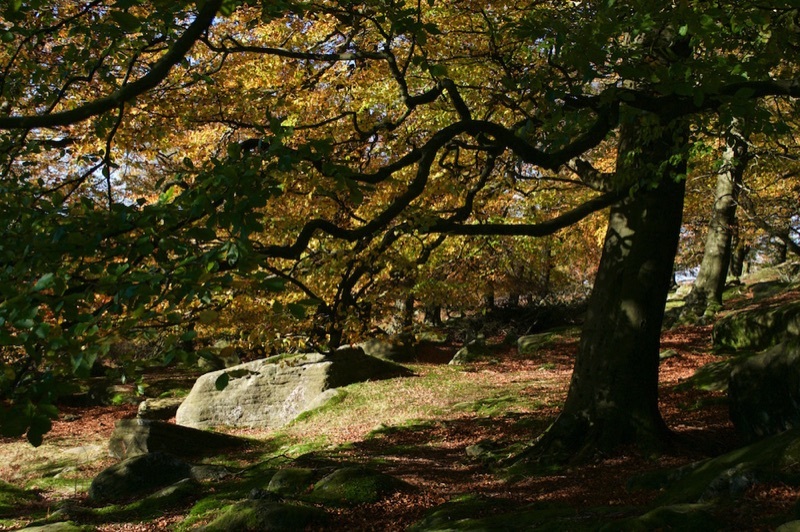 But any native woodland can be beautiful in October and November, so it's an ideal month to get out and enjoy a woodland walk. And if you have kids in tow, you can add an element of fun by turning a walk into a natural treasure hunt! It's not just children that can benefit from looking in detail at the world around them. Adults, too, can find that being more mindful of their surroundings – especially when immersed in a natural environment such as a forest – can reduce stress and increase wellbeing. There are so many things to spot in the countryside in autumn – here are just a few things to keep an eye out for. 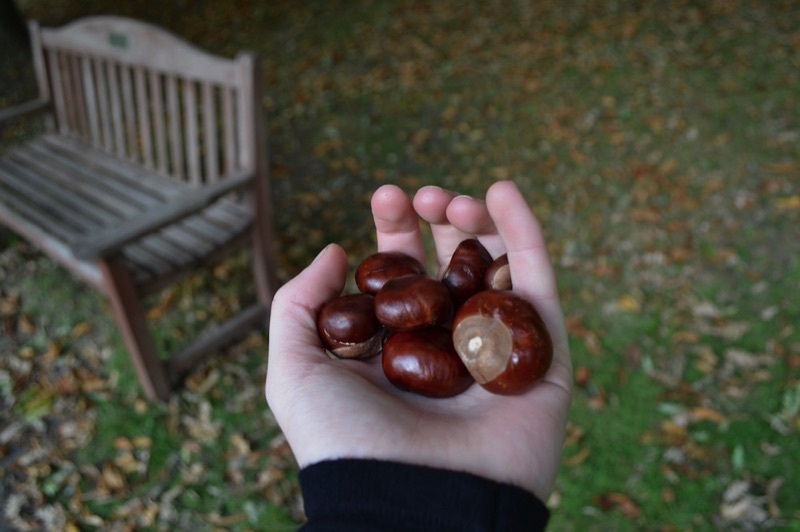 Searching for conkers and crunching through fallen leaves are classic childhood activities, but there are plenty of other treasures to be found on the forest floor. Look under oak trees for acorns, and under beech trees for triangular seeds encased in softly, prickly pods. You might also be lucky enough to come across some hazelnuts or sweet chestnuts – if the squirrels haven't found them first! 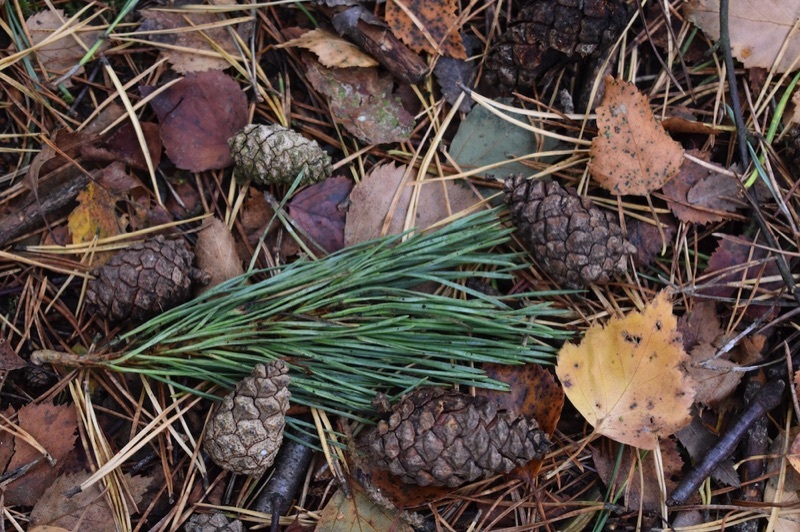 Try picking up a few fir cones and taking a close look at these complex seed cases. Where individual scales have been gnawed away, this could be evidence that a mouse has been snacking on the cone. Woodpeckers eat fir cones too – look for scales that have been roughly damaged or broken off. There are thousands of different species of fungi in the UK, and autumn is the best time to see many of them. One of the easiest to identify is fly agaric (pictured below) – with its white-spotted, bright red cap it's the classic fairy story toadstool, and is common in woodlands everywhere. Puffballs are also frequently seen, and easy to identify. Look for white spheres in leaf litter or long grass. When trodden on, puffballs release their spores in a cloud – hence the name. Also look out for umbrella-shaped parasol fungi, and layers of chicken-of-the-woods – a bracket fungus that can often be seen growing in frilly layers on the trunks of woodland trees. 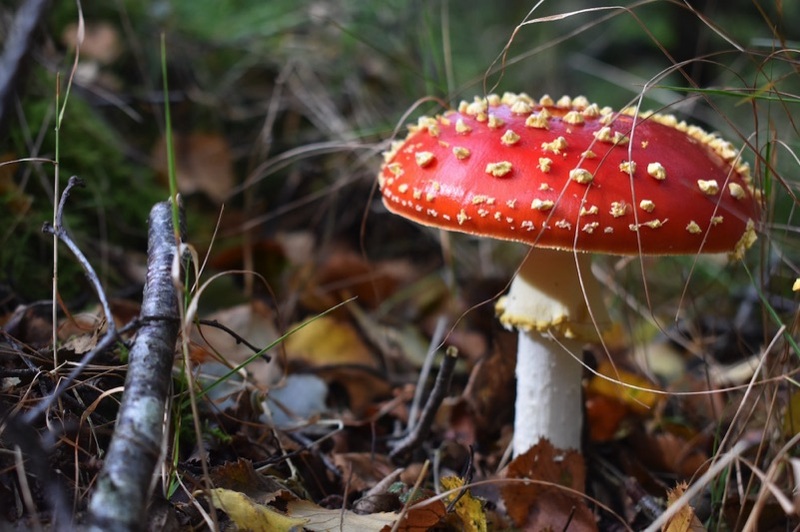 Although lovely to look at, lots of fungi in the UK – including fly agaric – are poisonous, and some can be fatal. So it's important not to gather wild mushrooms unless you know exactly what you're picking. As leaves fall from trees in autumn, it becomes easier to spot birds as they hop about in the branches. But according to the Woodland Trust (www.woodlandtrust.org.uk) many of our woodland bird species are in decline – a 20 per cent drop in numbers was recorded between 1970 and 2013. Species that have declined include bullfinch, song thrush and willow warbler, to name just a few. Looking and listening out for birds is still one of the joys of a woodland walk though. Woodpeckers, nuthatches and tree creepers are three particularly enigmatic species, all of which can be spotted in areas of mature deciduous trees. The first redwings arrive in the UK in October, and can sometimes be spotted in woods, but also in hedges, parks and orchards – where they love to peck at windfall apples. 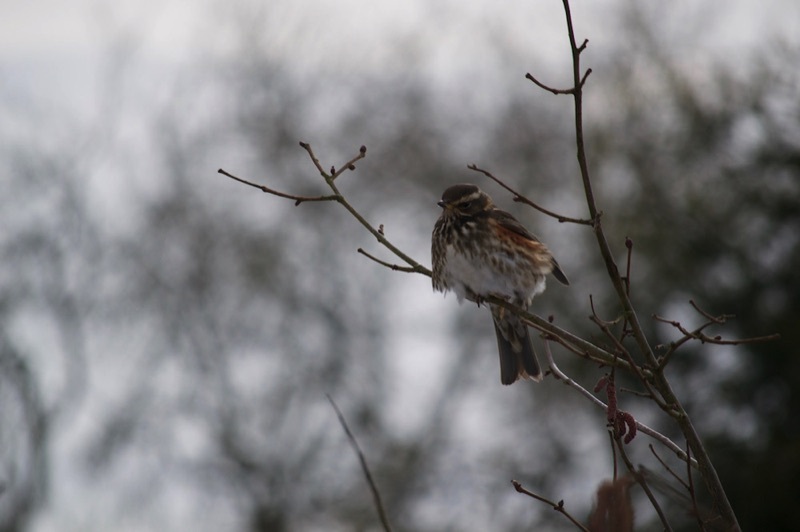 Redwings are often seen in large flocks, sometimes mixing with other birds such as starlings and fieldfares. The latter is another winter visitor that arrives in autumn – it looks like a large thrush, with a grey head and chestnut-coloured back. Although birdsong is probably at its loudest during May, at the peak of the dawn chorus, some birds are also busy defending their territories in autumn – the clear melodious songs of robins and blackbirds are particularly beautiful. There are 17 different species of bat in the UK and the tiny common pipistrelle, which weighs just 5g – less than a £1 coin – is one of the most common. Bats are one of only three British mammals that truly hibernate – the other two being hedgehogs and dormice – so October is your last chance to see them before they settle down for the winter. Bats can be seen flitting along woodland paths – particularly where there's a body of water such as a river, lake or stream nearby. Many bats follow the same route as they forage for insects, so if you see one, stand very still as it will almost certainly come back into view. Sitting on a riverbank or in a woodland clearing at dusk to watch bats flit overhead is a magical and soothing experience – and just one more way to enjoy the woods this autumn!